Every author has one book of their own work which is their favorite. This week I’m talking with Kaje Harper about her favorite books and her fundraising efforts for LGBT youth. B: First, tell me about your books. What’s your favorite and why? 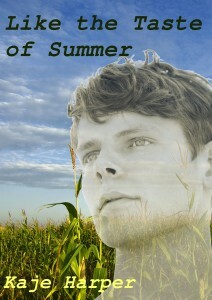 K: My two favorites are my freebies for the Goodreads M/M Romance group – Like the Taste of Summer and Into Deep Waters. Of those two, IDW is really my baby. Into Deep Waters is far from perfect. In particular, the challenge of covering 69 years of a relationship was impossible to meet with a detailed story of their lives (and one written in 45 days.) I calculated once, that if I’d continued the depth of their first year together throughout the book, it would have been over a million words long. 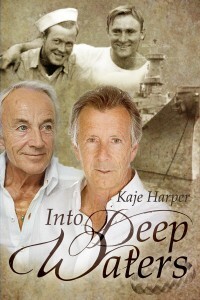 So after my guys meet, fall in lust, and then in love, on a ship in the Pacific during World War II, I began skipping. The second half of the book is episodic, and a little jerky. A scene here, a bit there – moments in long lives spent together, making their way in a world that was not welcoming to men who loved as they did. War’s aftermath, family disdain, Stonewall, pets, losses… I laid out scenes that made them who they were. Until at the end, after sixty-nine years together, I brought them fully out into the sunlight at last. I’m never as happy with a book down the road as I am in the moment when the first draft is done. So now of course I see the flaws in this one, but I still like it better than the rest. And reader response has been more than kind. So… that’s my baby. 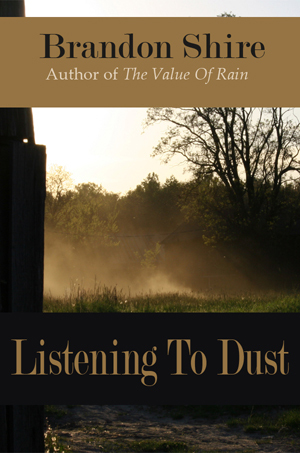 You can download it for free from Goodreads, or Smashwords, B&N and other sites. B: The proceeds from a few of your stories go directly to charity, could you tell us about them? K: I write a little bit of Young Adult stuff, mainly monthly freebies for the YA LGBT Books group I moderate on Goodreads. But I have two published stories. Both are part of Featherweight Press’s Helping Hands line of stories, where both the editor and author royalties go to LGBT charities. The editor whose brainchild this was left Featherweight, so there are only a few stories in the line at the moment. Hopefully when things are settled under a new editor, they may resume the line. 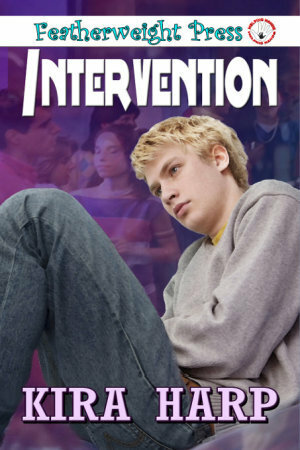 Intervention – Sometimes it seems to Seth like more trouble than it’s worth to keep going on, to keep living and breathing and hurting and going to school with guys who hate him, and hiding who he is from everyone around him. Seth is sixteen, in the closet, and about ready to give up on life. But for his brother Jory, making an unexpected visit home from college, nothing is more trouble than it’s worth to keep his little brother alive. It’s a 34 page short story, and my first effort at writing YA. Author and Editor royalties from “Intervention” go to The Trevor Project – this is my “It Gets Better” story, and The Trevor Project is on the front-lines in telling our LGBTQ youth that they are valuable and beautiful and we want them around a long, long time. 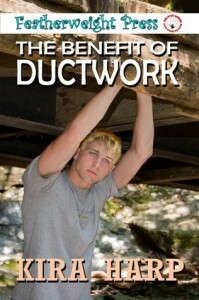 The Benefit of Ductwork – Andy was six when he was adopted by the men he calls Dad and Pops. At seventeen, he has almost escaped his early years and found security in his dads’ loving home. But his neglected early childhood taught Andy that nothing good can be his forever. When his parents decide to foster Kyle, a young gay teenager in need of a place to stay, Andy can’t help wondering if he’s going to lose his dads to the new kid. This one is 60 pages, and I have a sequel novel in the works. The royalties go to Lambda Legal. The lawyers at LL work for equality for LGBT and HIV+ people in all legal arenas, including family law and adoption. Both are short stories and available in ebook only. Progress happens when we all put our talents to work for change, and these two stories are one of the ways I try to do that. You can find all 6 of the current Helping Hands YA stories at Featherweight Press and at the usual retailers including Amazon, B&N and OmniLit. B: Thanks for stopping by Kaje. You can find Kaje on her website, and find her books on Goodreads, Amazon, B&N and Smashwords.